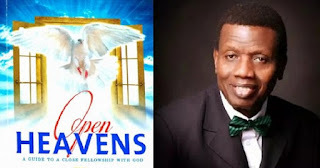 Open Heaven 13 April 2019 Prayer Points on Today – God of Complete Restoration - Open Heavens Daily Devotional Messages, By Pastor E.A Adeboye. 1. Father in the name of Jesus, we thank you for your mighty power to pray our way to victory in Jesus Name. Let chaos go into the camp of your enemy. 2. Eyes of darkness, assigned to monitor my life witter in Jesus name. 3. Any power bringing my name to the coven, die with the coven in Jesus name. 4. Oh God arise, overthrow the wicked in my life in Jesus name. 5. Every altar of darkness, working against my forward movement, burn with fire, in Jesus name. 6. Every power, challenging my moving forward, you are a lair, In Jesus name. 7. Every satanic wind, blowing against my prosperity backfire in Jesus name. 8. O God of favor, appear in my life in Jesus name. 9. Every Charm working against my life, catch fire in Jesus name. 10. Every gate of witchcraft in my life and family be closes for ever in Jesus name. 11. Every of my good, buried, I called it back now in Jesus name. 12. Every evil serpent, by the blood of Jesus come out of me now and go back to your sender. 13. Dark chains your time is up, break in the name of Jesus. 14. Every spiritual remote controlling my life and happiness be scattered by fire in Jesus name. 15. God of Elijah, advertise you fire in my life today in Jesus name. 16. Every power sitting on the document of my miracle be uprooted in Jesus name. 17. 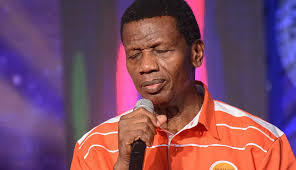 Strong-man of financial embarrassment, die in Jesus name. 18. Every satanic strongman delaying my blessing, your time is up die now in Jesus name. 20. Cover your prayers with the blood of Jesus. 21. Thank Him ( Jesus) for answering you in Jesus name.